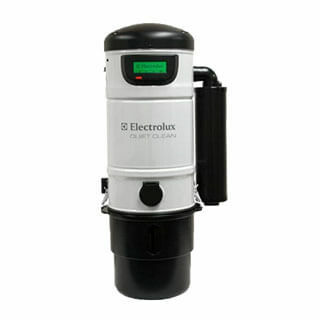 Choose from a selection of genuine Electrolux central vacuum power units. 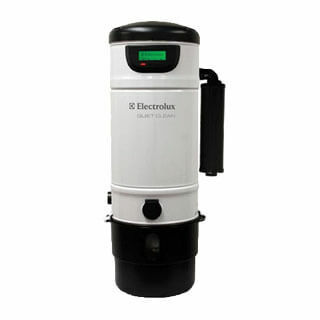 Electrolux offers hybrid units that can be operated as bagless or with a bag. These units features bypass motors and warranty of 10 years. An LCD screen shows when the dirt bucket has to be emptied and displays other performance indicators. Electrolux power units have a permanent self-cleaning filter, utility inlet on the front, sound reducing technology and steel can. These units are made in North American and rated for homes up to 12,000 square feet. Note that it is not necessary to replace a power unit with the same brand. Please contact our friendly experts if you need recommendations for a power unit in your home.